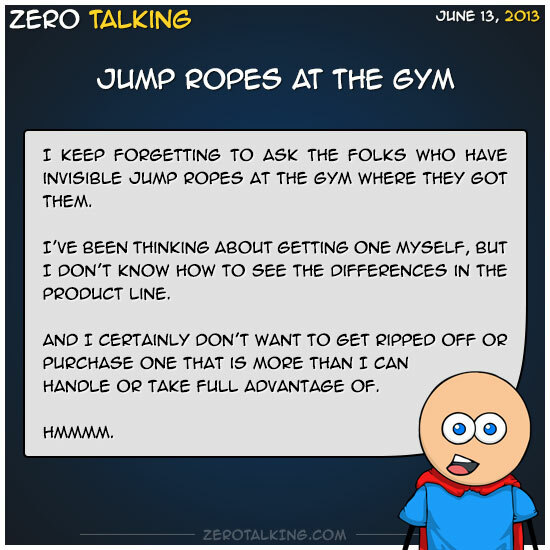 I keep forgetting to ask the folks who have invisible jump ropes at the gym where they got them. I’ve been thinking about getting one myself, but I don’t know how to see the differences in the product line. And I certainly don’t want to get ripped off or purchase one that is more than I can handle or take full advantage of.